One of my goals this year is to plan and implement lots of hands-on activities for my preschoolers and kindergartner. I want our school year to be a year of wonder, and I think hands-on visuals really help bring concepts to life. 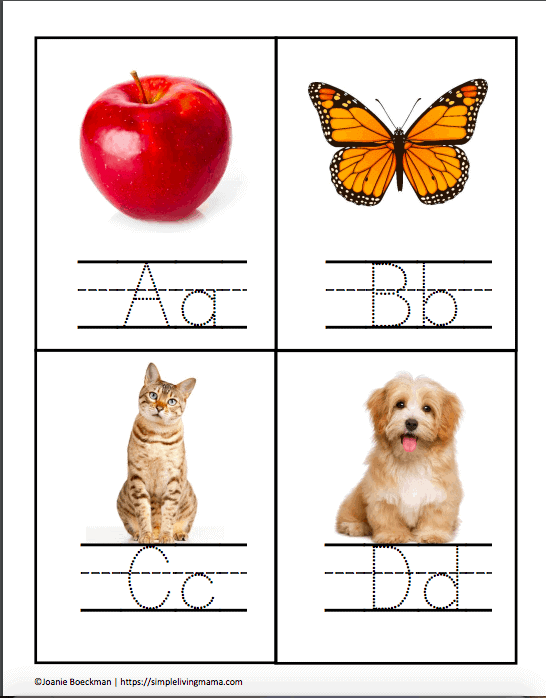 I designed these printable alphabet flashcards as a complete pack to help children learn learn letters and letter sounds. 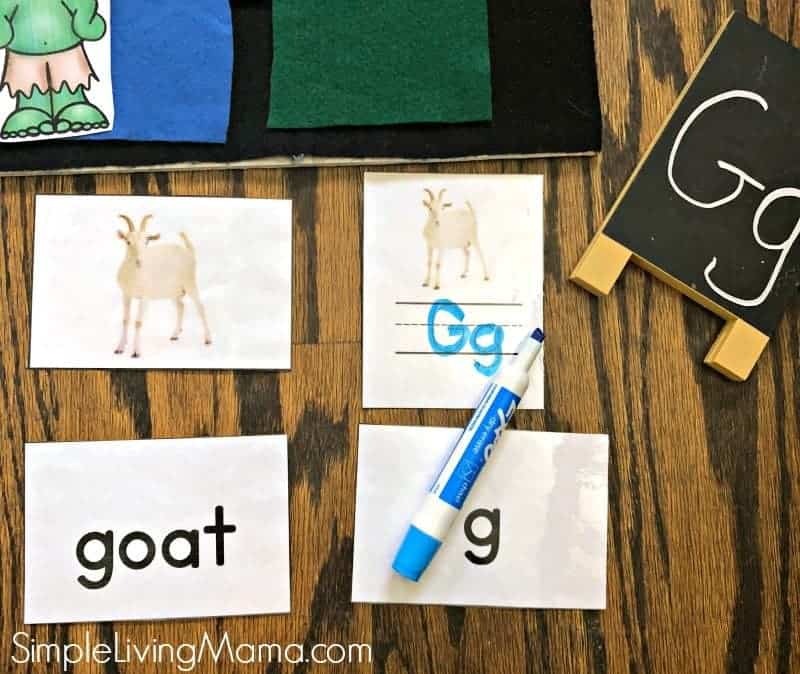 These are great for toddlers, preschoolers, and kindergartners learning to read! 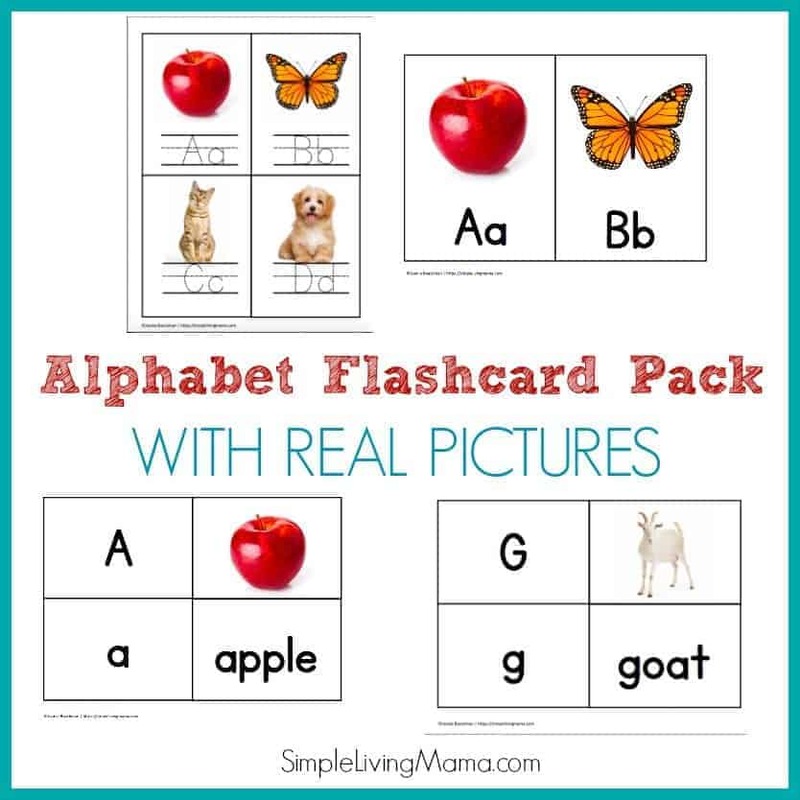 This ABC flashcard pack includes 26 large alphabet flashcards with both uppercase and lowercase letters and real-life pictures. 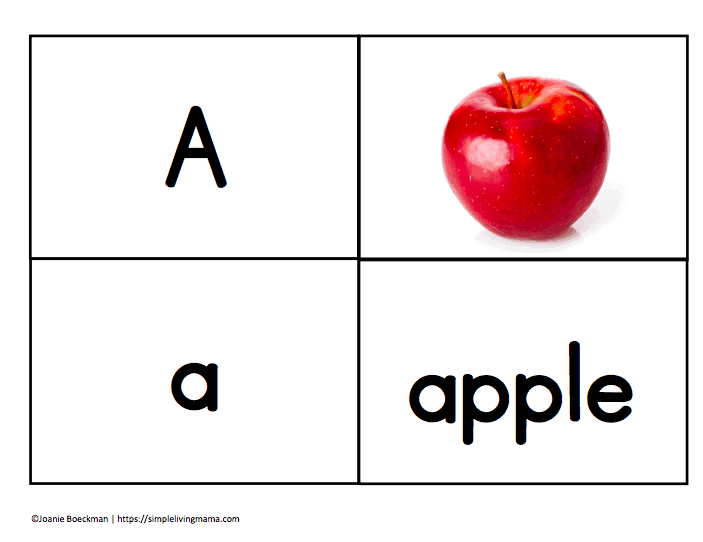 The large flashcards are great to use for creating banners and reviewing letters orally. 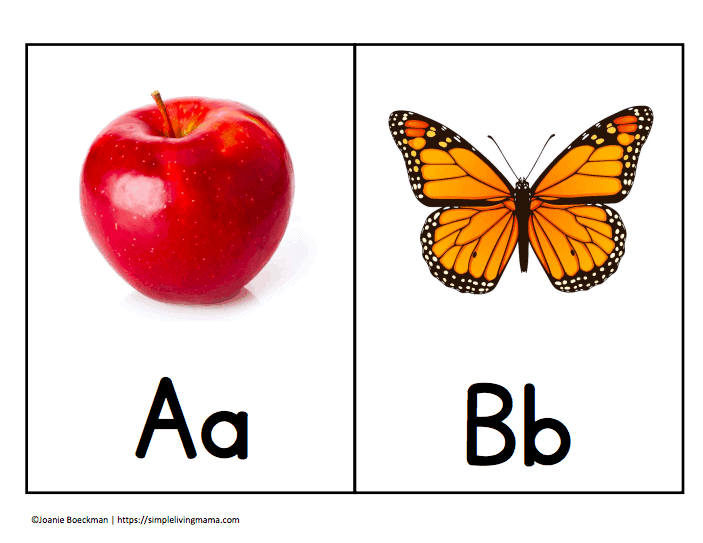 One of my favorite parts of the flashcard pack is the alphabet printable picture cards. 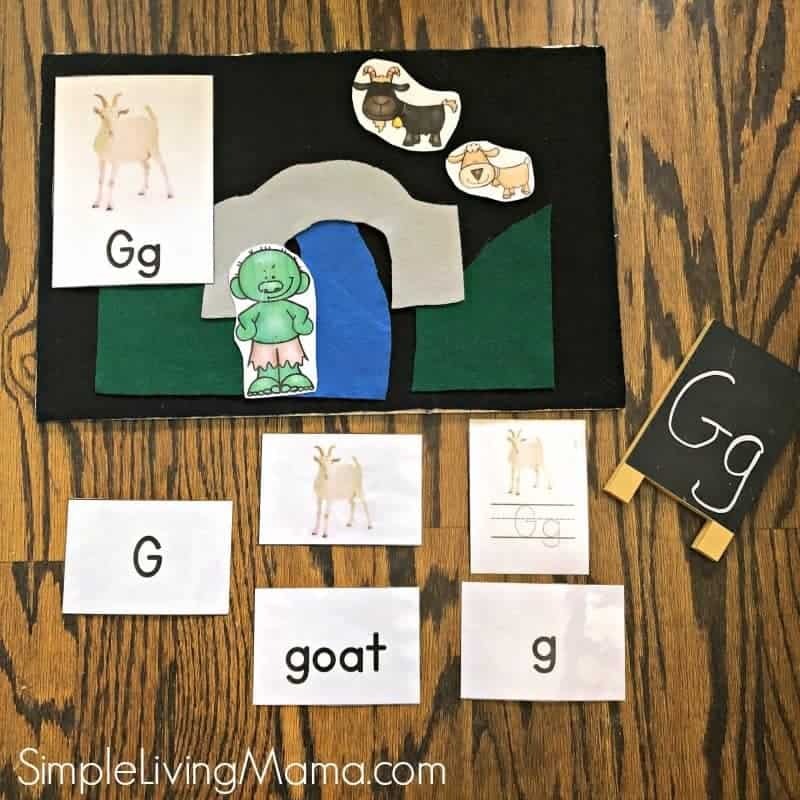 These visual word cards are great for matching uppercase and lowercase letters and sound recognition. I love using small toy animals to help reinforce the concepts even more! Finally, there are 26 alphabet handwriting cards for your little learners to practice writing letters! Each card includes the upper and lower case letters A-Z and a real-life picture. You could even make these cards tactile if you’d rather by printing on card stock and outlining each letter with glitter glue. Allow it to draw and you have tactile cards rather than handwriting cards. It’s up to you! 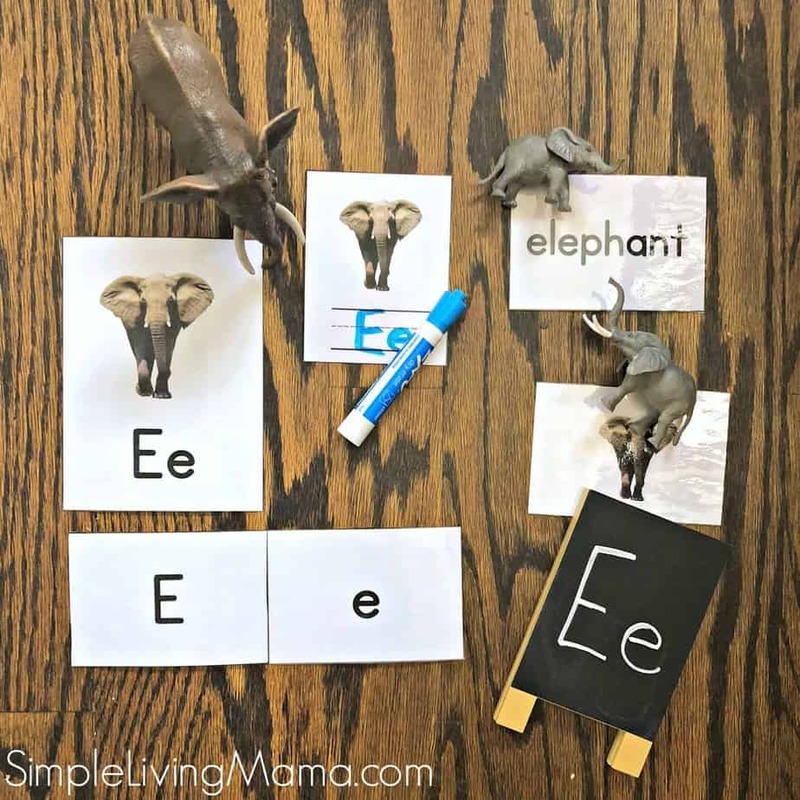 Use these alphabet flashcards with any letter of the week curriculum or plan your own preschool lesson plans based around the different natural objects on the cards! 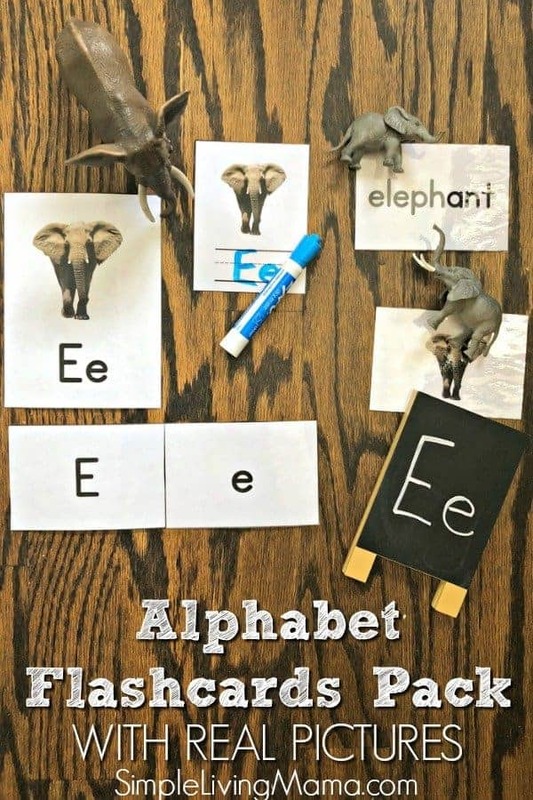 You could also pair these cards with our popular Alphabet Notebook. The ideas and themes are endless! 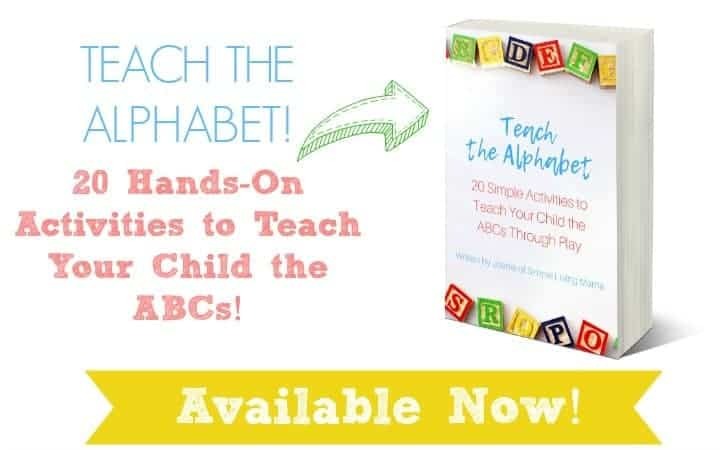 Your child will be well on their way to learning the alphabet and having fun while doing it! Cut apart and use as you wish!